Many cars are to be seen. 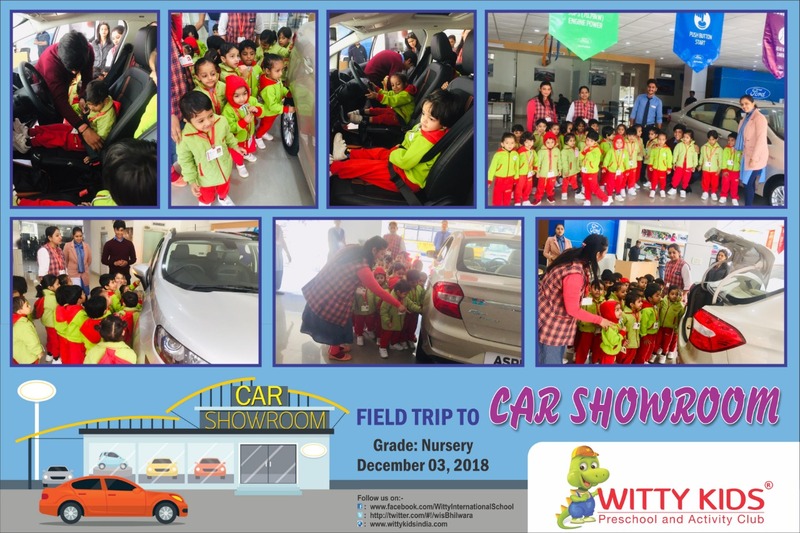 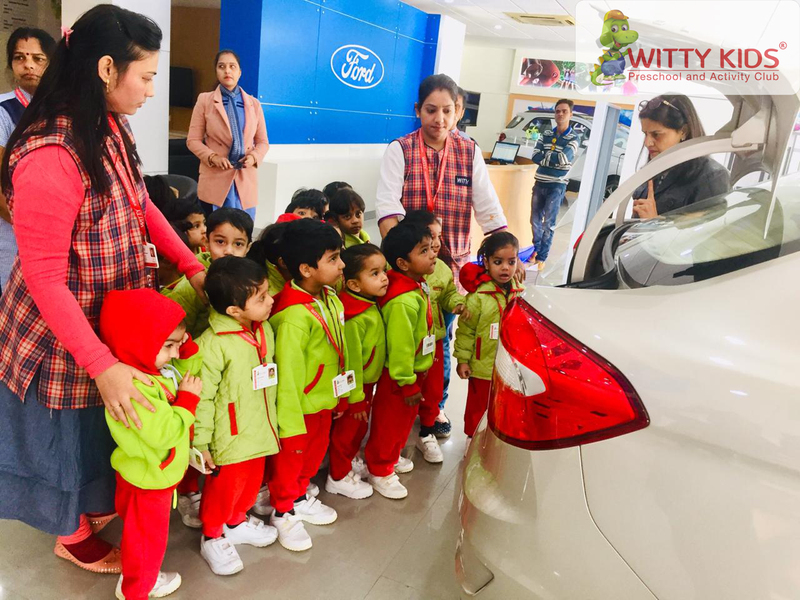 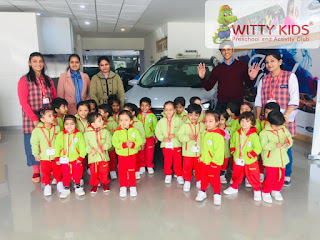 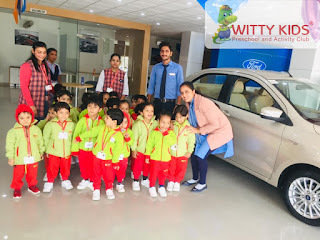 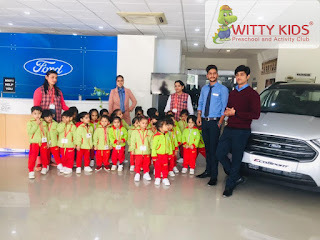 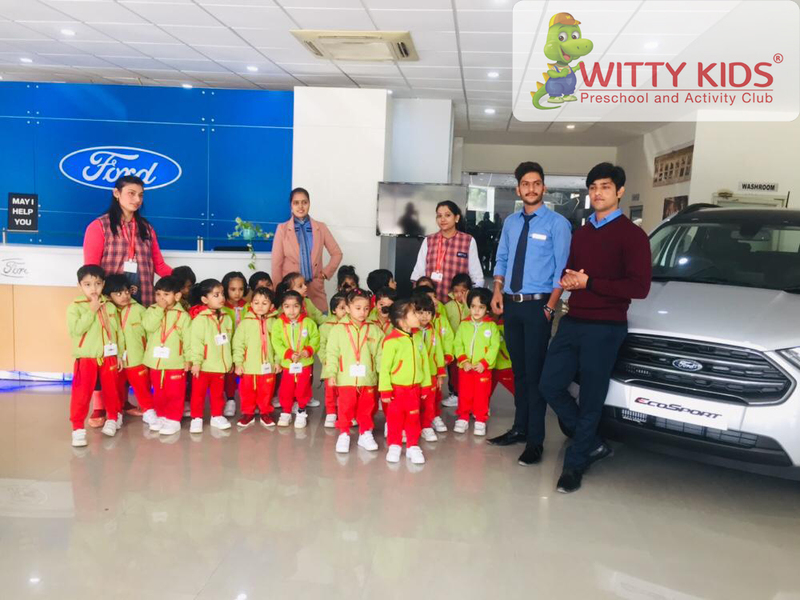 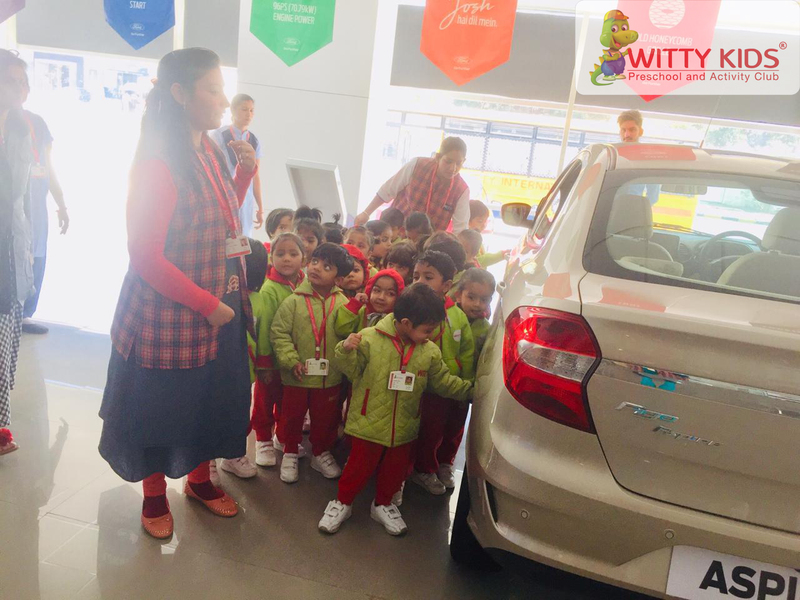 On December 3, 2018 the little angles of Nursery, Witty Kids, Bhilwara went to Ford Car showroom. Children were very much excited. 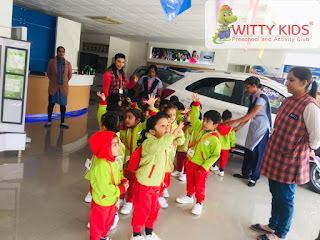 They were thrilled to see cars of different colours and sizes. 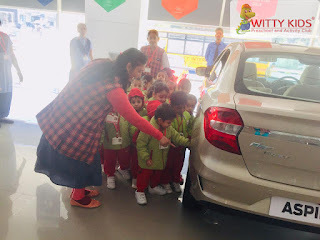 They eagerly shared information about the cars they have at home i.e. 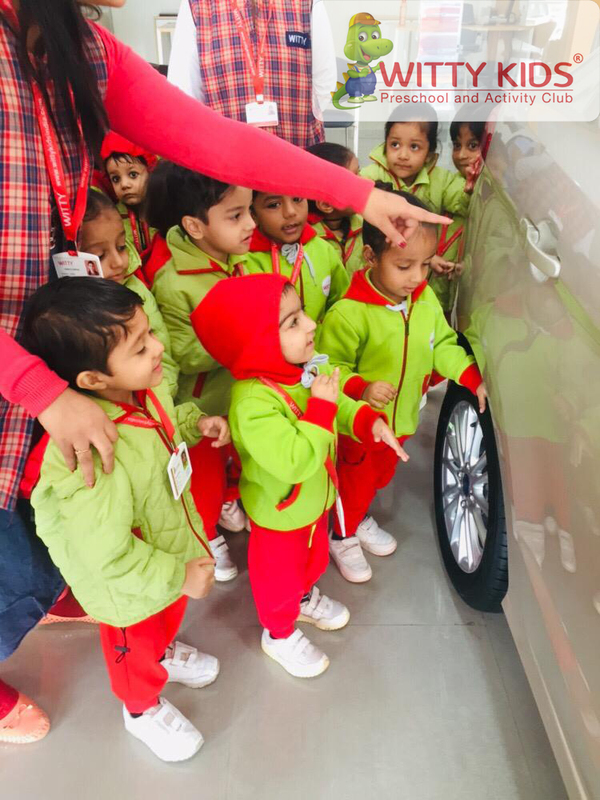 colour, model and size. 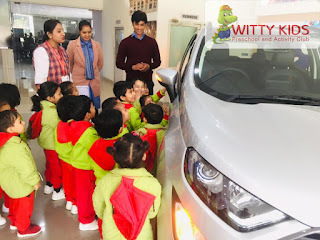 The teacher and members of car showroom showed and explained about the basic features of the cars and the use of seat belt, back and front lights, horn, wipers etc.